September is here people and I couldn’t be more excited! Time for soup, sweaters, and scarves..and more soup! 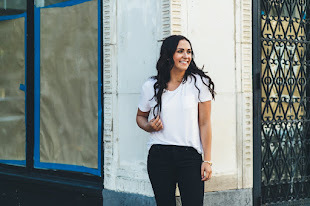 Although I’m writing this post and it’s currently 90º outside, I am determined to kick off my favorite season, starting with some amazing fall recipes. I’ve listed everything from melt-in-your-mouth breakfast goodies to spiced cocktails. 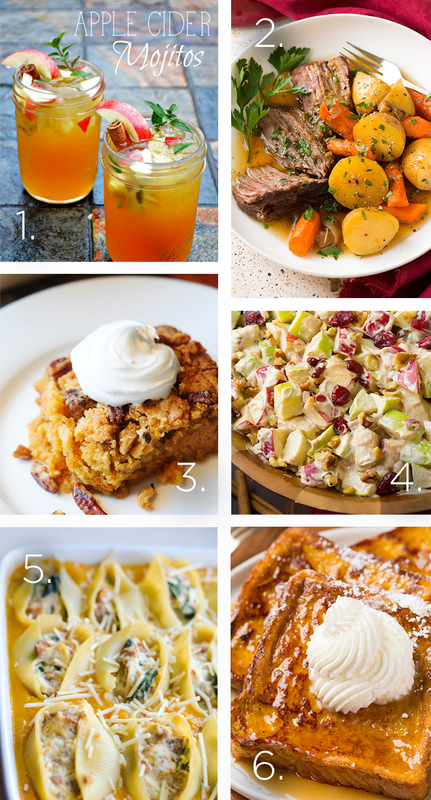 These are just a few of the recipes I’ll be trying out this fall! 1. Apple Cider Mojitos: FINALLY! A cocktail that combines my favorite summer drink with my fall one. This is a perfect cocktail to transition into the colder weather months when you’re desperately holding onto summer! 2. Pot Roast with Potatoes and Carrots: My mouth is watering as I’m thinking about this fall favorite. At the end of a long day, there is nothing better than to walk through your door and be filled with the smell of pot roast in the oven! 3. Pumpkin Crunch Cake: You can’t go wrong with anything pumpkin or cake, so I’d say this dessert will be a hit at any family gathering or party. 4. Creamy Cinnamon Apple and Walnut Fruit Salad: Again, this is another great recipe to transition your favorite summer side dish into fall. 5. Butternut Squash & Sausage Stuffed Shells: I love the idea of taking a classic recipe and putting a new spin on it for the colder months. Its a great way to change up our favorite dishes into new ones that are sure to please! 6. Pumpkin French Toast: enough said.